This week we thought we’d give you a bonus recipe to enjoy. 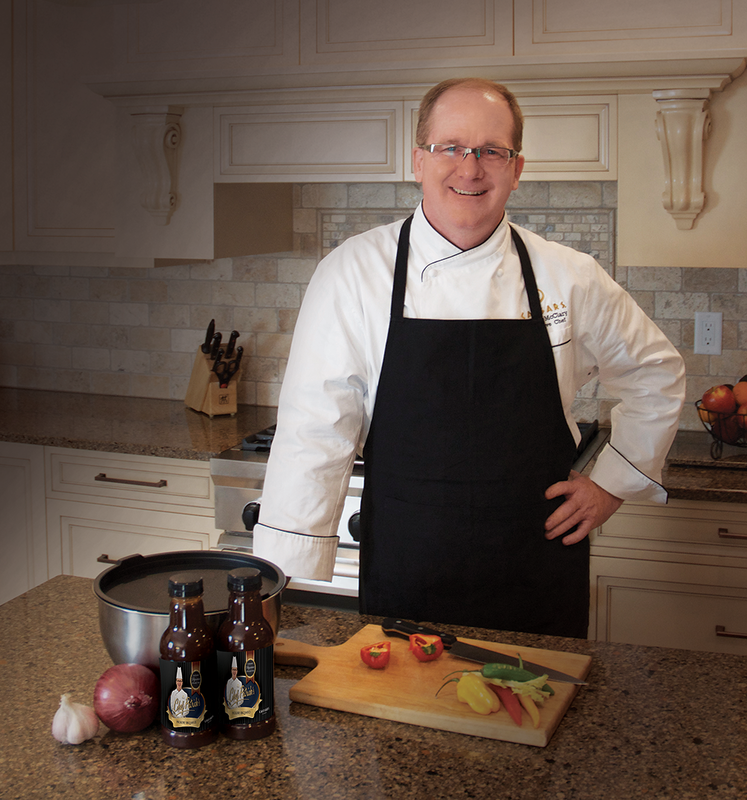 Just in time for the Big Game, Caesars Windsor’s Executive Chef Patrick McClary is launching his very own BBQ Sauce. The Hickory BBQ sauce is part of the Caesars Windsor Signature Collection, an exclusive line of products available only to select Total Rewards members. Pairing well with chicken and pork the sauce has a balanced smoky flavour followed by a smooth sweetness to tie it all together. The velvet texture makes this sauce the perfect marinade or even a simple dip. Inspired by his love for the open grill, Chef Patrick wanted to create a rich and flavourful sauce that makes bringing delicious food to the dinner table easy. The sauce will be available to purchase for $9 at the Caesars Essential Gift Shop and each bottle will include a mini recipe book featuring his very own pulled pork recipe. As part of the launch, Caesars Windsor restaurants have created a Signature BBQ week menu ending today. Artist Café will feature Swordfish Tacos, Braised Baby Back Ribs and Chicken & Shrimp Kebabs and Legends Sports Bar will offer up a Hickory Smoked BBQ Pulled Pork Sandwich. The Market Buffet will also have various dishes featuring the exclusive sauce. Carefully place the roast into the pan ensuring that the hot oil does not splash. Adjust the heat to high and brown all sides of the roast very well. Reduce the heat to low. Remove the pork and place it in a slow cooker or roasting pan and season with the salt, pepper, chili powder and coriander. Add the onions and garlic to the skillet and sauté until lightly browned. Add the beer and vinegar to the pan and reduce simmer for 3 minutes. Add the BBQ sauce to the pan and then pour over the roast. Cook: In a slow cooker on low, this can take 6-8 hours depending on your slow cooker or in a covered roasting pan in the oven at 275°F for 5-7 hours. Test the roast by inserting a fork. If the fork can be very easily removed and the meat can be pulled apart, it is ready. Remove the roast and let stand for 30 minutes lightly covered in a large pan. Hold the roast with a pair of tongs; pull the pork apart using a fork. Strain the liquid from the cooker and skim off fat. Place the liquid into a saucepan and simmer for 15 minutes or until the liquid starts to thicken. Pour over the pork, stir and serve on a crusty roll.